This ground floor apartment is lovely, with everything you need in the kitchen. The apartment is within easy walking distance from the town. We had a great time 2 minor gripes but didn’t really bother us to much but things that you may want to take into consideration when booking, the sun goes from the apartment by about 1pm, then if you want to sit in the sun it’s round the pool, unfortunately there is only 4 sun beds so you need to take a chair from the apartment. My only other gripe was the lack of English TV Channels it did state that there was English tv and indeed there are instructions for bbc iPlayer and itv player etc, we followed these and each time it said there was an error. Thank you for your comments and, largely, your very kind recommendations for staying at Le Bijou. However, I have taken notice of your two minor ‘gripes’ and would accept both of them as valid. The sun does move round from our terrace at around one o’clock, but in the heat of the summer South African sun, we have always found it a relief to be able to sit outside on the terrace in the afternoon and absorb the warmth but be in the shade. Alternatively, one can move to the pool area and sun bathe there. In this regard, yes, there are only four sun beds available, but unfortunately this is out of our hands as the pool area is the responsibility of the building management and is out of our control. But we have found, after coming here for nine years, that we mostly do not have a problem in competing for the beds as most of the time the other people here are out and about. As far as your comment on the poor availability of English TV channels is concerned, yes, I have to admin that there was a problem which I was uninformed about. However, we are now here in the apartment on our holiday and have put this right and hopefully will be working for all forthcoming guests. There is always a problem in accessing US, U.K., European TV from outside their broadcast area as the channels impose Geo-fencing controls to stop ‘foreign’ access. However, we have now sorted this out and guests can receive 951 English channels from the U.K. and US and channels from a further 49 countries as well as streaming from BBC, ITV, Amazon, etc. Hopefully that will entertain most of our future guests! Thank you so much for bringing these matters to our attention. I hope nevertheless, that you enjoyed your stay and will consider returning to enjoy it even more at some future date. Für unsere Bedürfnisse perfekt, Apartment wie beschrieben. Einkaufsmöglichkeiten in Laufweite. Übernahme und Rückgabe verliefen tadellos. Wir haben uns sehr wohl gefühlt. We really enjoyed our week in Franschoek and my son got married on one of the wine farms just out of town on the Saturday. We had the most fantastic weather for the first four days and then 3 rainy days which was must appreciated by the Western Cape due to the long dry spell that they had in their area. Sorbonne is a nice place to say with the most amazing scenery close by and fantastic restaurants in town. would surely visit again. I am so glad you enjoyed your stay at Le Bijou. The scenery is spectacular and so are the restaurants! You are most welcome to come again. 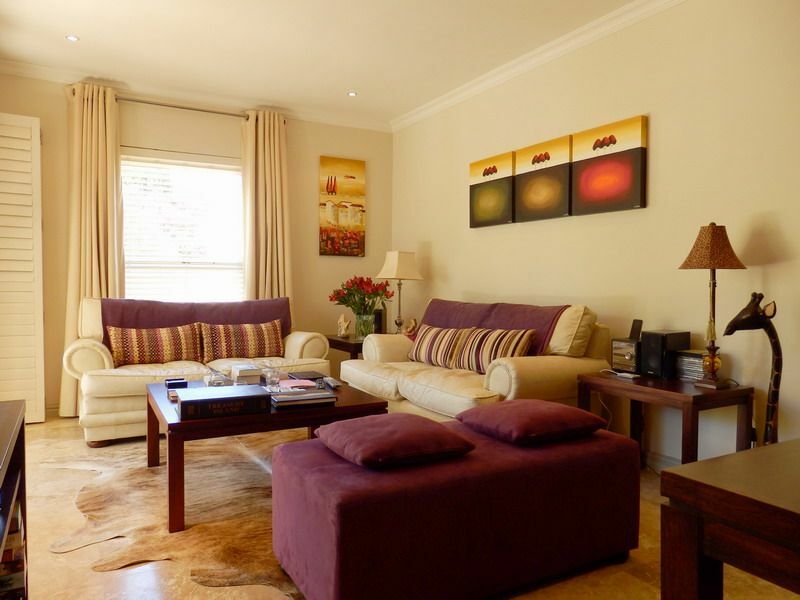 We have stayed twice in this lovely apartment in a very good situation in Franschhoek. Lovingly furnished and exceptionally well equipped. Very good bed linen and towels, a must for us. This apartment has the advantage of a pretty, private patio, another room really where we do most of our reading with a glass of wine in hand. We are already booked for next year so that says it all really. Highly recommend. Prices quoted for two guests sharing. Additional guests charged at a nominal rate. Total price on request. Rates for longer periods than two weeks can be negotiated Christmas & New Year period requires a minimum 5 night stay. Clean linen & towels after every 5th night's stay (long stays). Additional cleaning service available at R120 per day extra.